I took a break from MTG Metagame Finance last week to start the new What’s Next series. If you haven’t seen that yet, you can check it out here. Now that Ravnica Allegiance has been making its way into all the formats, we’re starting to get a feel for how it’s affecting the different metagames. So let’s dive into that this week. It’s also still very early so I suggest a couple of ways to stay ahead of everyone else. This is probably one of, if not, the most active MTG finance chat group that discusses cards before the movement actually happens. 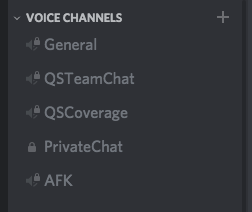 If you have a membership, sign in to the Discord channel here. If you don’t have a membership, you can purchase one here. I update this spreadsheet often, especially before I write and post my articles. I also update this spreadsheet every time I buy a card right after I place the order. I must admit I misread this card at first. I thought that you put the creature or land into your hand. Sad face. This card is much worse than I had originally imagined. However, that doesn’t mean it’s a bad card. I think it could still see play in Standard. But I don’t think it’s good enough for Modern. Here are a couple of brews that I think could have some legs with some testing and adjustments. This is an interesting build because Silhana Wayfinder helps you find powerful Angels that can take over the mid to late game such as Shalai, Voice of Plenty and Angel of Grace. It also sets up a sequence where you can play this, find one of those Angels, cast Kaya’s Wrath, and then cast the Angel after you’ve cleaned up the board. Since there aren’t any effective tutor effects in Standard, Silhana provides a decent way to dig for Prime Speaker Vannifar. It comes down early, and you can sacrifice it later for a Jadelight Ranger or Knight of Autumn. Thanks to Ari Lax, it’s probably not really a secret anymore that this is a good card in Limited. There’s a slight chance this could see play in Standard in midrange or control. But I think it has the most potential in Pauper. We’ve already seen the foil price of Curse of the Pierced Heart shoot through the roof. That could be a good sign for this card. Twenty-five cents is pretty cheap, so get them while you can now. This has already been showing up in Standard Simic decks. It started out kind of pricey, then dropped a bit. But it’s starting to tick back up in price. I also think this card could have potential in the longer-term outside of Standard in something like a Simic or Bant Wizards deck in Modern. I don’t think WotC is going to stop printing Wizards anytime soon. 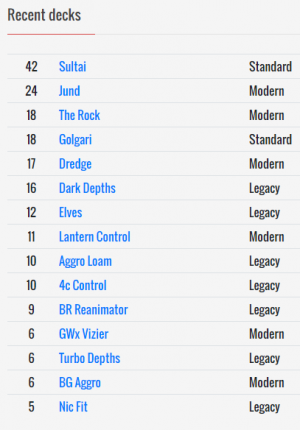 So there will probably be a point in time where there are enough powerful Wizards in Simic or Bant to build a new deck. And it’s possible that cards I mentioned in previous articles, like Senate Guildmage and Wizard’s Retort, will make the cut. It’s too bad the manabase in this deck doesn’t really allow you to consistently cast Incubation // Incongruity. However, if you really want to cast it, the next deck allows you to do so. Speaking of Wizards, here’s another one from Ravnica Allegiance that’s already seeing play in Modern and Legacy. I would bet that a decent number of people are overlooking the fact that Wizards is the more commonly shared creature type over Merfolk now in this type of deck. But it certainly seems like LE_PIP got the memo and incorporated Wizard’s Retort this Mono-Blue Merfolk Wizards deck. These are still pretty expensive right now on eBay. But that might be because they won’t be officially released to the public until February 16-17. I would wait to see what the price is shortly after that weekend. This card showed up all over the place in the Vintage Challenge on January 27. Vintage is in its own bubble and doesn’t really cause the prices of most cards to move like other formats do. However, we might see a trickle down effect into Legacy and Modern. If that happens, we’ll probably start to see this card rise in price. Just remember, this is a blue card and can be used with Force of Will to stop opposing Force of Wills. Now that Ravnica Allegiance has hit the market, we might be close to the floor on this card. This was the talk of the town when it was spoiled, but has kind of faded into the sunset a bit. However, it shouldn’t be forgotten as it still does see quite a bit of play in multiple formats. The price of this has finally calmed down, yet the number of decks that play it continue to rise. This means we could start to see a slow uptick in the near future. It’s also a blue Wizard. So if you didn’t read anything before this, what that means is that it could see play in a new Wizards deck in Modern or alongside Force of Will in Legacy. And it’s already showing up in Legacy Humans. I think we’ve been pretty much at the floor on this card for a few months now. I’m not sure how much lower it can go during rotation in October. Can it hit $10? I doubt it since it sees a decent amount of play outside of Standard. However, if you’re worried about that and have a some extra cash to spend, I would pick up the Mythic Edition version. There are a lot fewer of these in the market, and it has cool full-art artwork. A lot of people seem to be going crazy over this in EDH/Commander since the release of Teysa Karlov. I would sell into the hype if you have these, especially because there’s only one printing of this card. Wizards could easily reprint this in a supplemental set. This might be a tougher pill to swallow since it sees play in so many decks. Phyrexian mana as a mechanic is essentially broken, which makes this hard to reprint in any kind of normal set. I could see them adding a Phyrexian mana theme to a supplemental set, though. In any case, this card is at least more resilient to reprints because of its weird mechanic. This has been showing up recently on the fringes in Legacy. I suspect this is a flash in the pan. I would get rid of these if you have any, especially because a ton of Return to Ravnica was opening owing to the reprint of shocklands. Card Kingdom is buying these for $2.50 cash and $3.25 store credit. 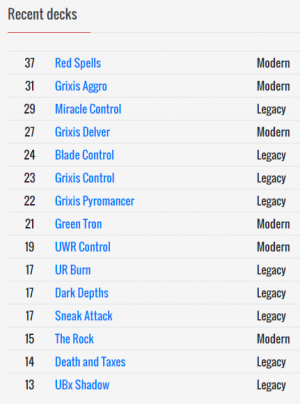 Burn has started to pick up steam again in Modern with the printing of Skewer the Critics and Light Up the Stage. We’ve seen many different builds with a lot of them running this card in the sideboard. It only has one printing. And as the metagame continues to adjust, Burn usually gets pushed to the wayside. With that said, I would lock in your value now on these if you have them and aren’t using them. Card Kingdom is buying these for $7 cash and $9.10 store credit. 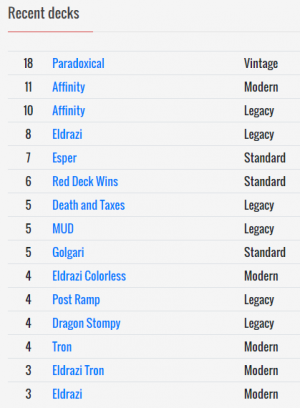 Red really hasn’t put up the numbers in Standard. And it might be a while before we see this Wizard used in Modern. I mentioned this in article #14. So if you picked them up then to play with, you can still sell these at a profit now if you’re not playing with them anymore. You can pick them up again cheaper after they rotate in October. Card Kingdom is buying them at $2 cash and $2.60 store credit. Here’s another card that’s seeing renewed play in Modern due to Skewer the Critics and Light Up the Stage. 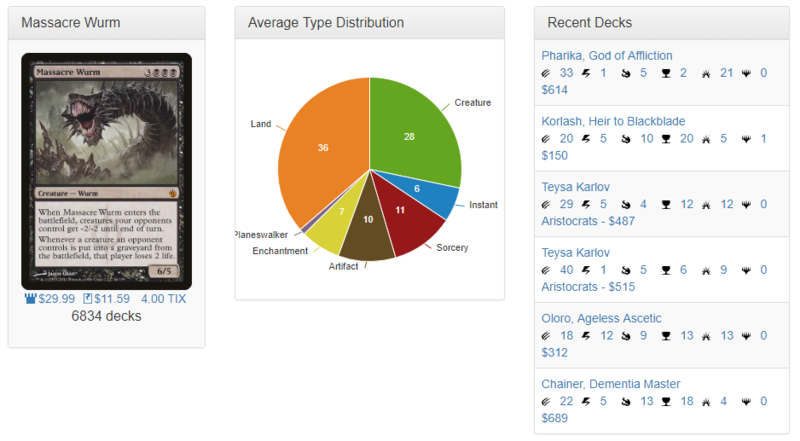 I’m not sure if Rakdos Burn is the most optimal build. But if you have these and aren’t using them, you can cash in on the hype before it dies down. Card Kingdom is buying them at $1.70 cash and $2.21 store credit.